What happened at the Bb. Pilipinas 2019 press presentation? In case you missed it, here’s what happened during the Bb. Pilipinas 2019 press presentation. The most important Bb. Pilipinas 2019 presentation took place last April 4. This is one of the major events of the pageant as they would be presented to the members of the press, sponsors, past beauty queens and most importantly to the BPCI officials. Based on legend (legend talaga? ), the judges selected their favorites from this event and these ladies have the higher chance to place in the finals. Pageant bloggers/experts and media also pick favorites from this event. Any performers will be included in their leaderboard aka hotpicks. Unfortunately, Madam Stella Araneta did not able to attend the event. According to my source, Madam SMA is currently in Colombia for a vacation. Anyways, other BPCI officers were present including major sponsors like Megaworld and ABS-CBN representative. Also present were past beauty queens including Shamcey Supsup, Ara Arida and Nicole Cordoves. Of course, hindi magpapahuli ang mga reigning queens: Ahtisa Manalo, Michelle Gumabao and Jehza Huelar. Enough of these narratives, let me present to you the happenings during the presentation of candidates. The girls paraded themselves showing their gym-earned abs wearing two-piece swimsuits by Domz Ramos and shoes by Jojo Bragais. Instead of the traditional numbers, the girls were called by their hometown/province with their sashes on. This is a first time in Binibini history. Miss Universe levels it is. Good job BPCI. After the press presentation at the Monet 2 Ballroom, the ladies and the invited media proceeded to the 6th floor of the said hotel for the traditional poolside photoshoot. In spite of the scorching heat of the sun, the ladies were all smiles to the media. The popular pageant maker and talent manager Jonas Gaffud also attended the event. While waiting for the girls to arrive at the Novotel poolside, Gaffud had an ambush interview with the media. He confirmed in the interview that Miss Universe Organizations appointed him as the “Creative and Events Director” of the Miss Universe Philippines under the IMG Brand. 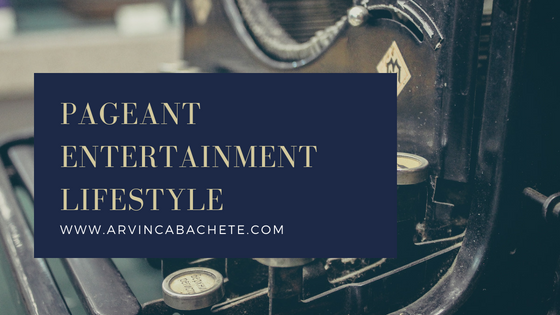 He will be responsible for elevating the level of Miss Universe Philippines further through his innovative and groundbreaking pageant creative concepts and ideas. TV reporters and bloggers had the opportunity to interview some of the reigning queens of Bb. Pilipinas. Huelar was impressed by the transformations of this year’s contestants from the time they were screened. Meanwhile, Manalo is eyeing for five contestants who might get the Bb. Pilipinas International crown. Some of the candidates were pick up from the holding area to do interviews with the media. Accredited media filled-up a form and voted who is their choice for Miss Photogenic award. The votes will be tallied by BPCI staffs and the winner will be announced on the coronation night, June 9. All out ang suporta ni Kiefer Ravena at Asi Taulava sa pagtakbo ni Coach Yeng Guiao bilang Kongresista sa Pampanga. 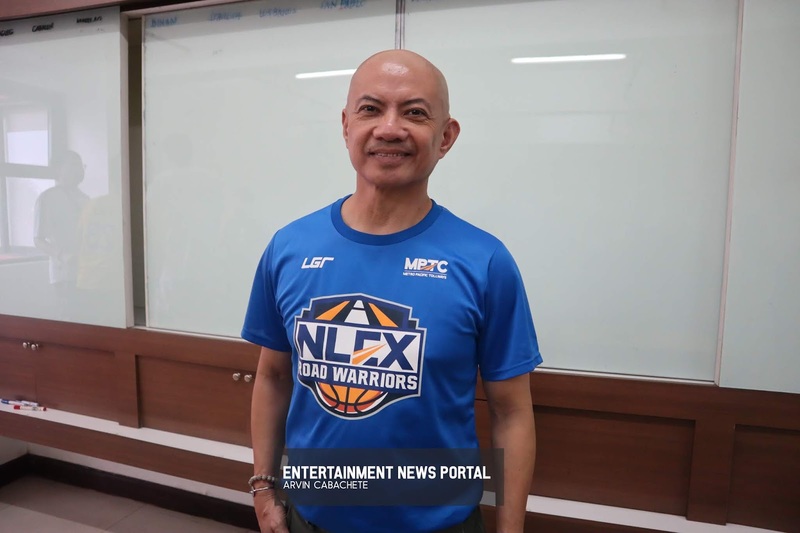 Yeng Guiao is known in the sports world as the head coach of GILAS Pilipinas and NLEX Road Warriors of the Philippine Basketball Association. Did you know that aside from being a sports enthusiast, Coach Yeng Guiao is also running for a political post? For this year’s election, he is aiming for a congressional seat in Pampanga’s first district that covers Angeles City, Mabalacat City and the Municipality of Magalang. He is trying to get back his seat as he served as congressman for the said district from 2013 to 2016. He was also a Vice Governor from 2004 to 2013. In 2001, he became a board member in the province of Pampanga. Guaio met some of the bloggers last April 1 at FCL Center in Xavierville Ave., Quezon City. His advocacy includes the continuous improvement and development of Clark Airport. He claimed that during his term as congressman, he was able to support the development of the said airport thru bills resolution. “As you know nag dedevelop na ang Clark Airport. There are more flights now there, more tourists. When I was in Congress, we were able to support the development of Clark sa bills resolution. One of the result really is meron bagong terminal ngayon sa Clark. We were initially responsible for the funding of the 2.9 billion pesos siya, bagong terminal. Pina-privatize siya ng government eh but the initial funding is already there. It is already being started,” Guiao said to the press. Coach Yeng Guiao poses for photos during the event. He also supports the Central Luzon’s railway construction project also known as the North-South Commuter Railway (NSCR) project which will connect Central Luzon, Metro Manila and the Calabarzon region. Since he is a sports enthusiast, he is also pushing the Clark to be the “Sports Capital of the Philippines”. “We’ve been pushing for Clark to be the “Sports Capital of the Philippines”. Magiging totoo na ‘yan kasi doon gagawin ang South East Asia (SEA) Games sa December. The facilities are already being built inside Clark. We are thankful with PCTA, PhilSOC (Philippine SEA Games Organizing Committee) and POC (Philippine Olympic Committee) for choosing Clark as their venue because that’s what we’ve been pushing for ever since magmula pa noong Board Member at Vice Governor ako hanggang sa makarating kami sa Congress,” added Guiao. If he win, he wants to improve the education system for his district like putting funds to the state colleges and universities in his area. Also present at the event are NLEX Warriors players Asi Taulava and Kiefer Ravena who also support Guiao’s candidacy. Coach Yeng Guiao of NLEX Road Warriors with his players Asi Taulava and Kiefer Ravena. “Coach Yeng Guiao is very genuine to one another. He says it when you need to improve on. Nowadays we really have to find people who are genuine. In my scenario, it would have been easy for them to let go me but they supported me. It helps leaders who gives you confidence to do your own thing,” said Kiefer Ravena. “I am open to help in his campaign. I believe in what he is fighting for, not because he is my coach, but his sincerity. If he gets elected, Pampanga will be benefiting from it,” added Ravena. Here are the official Top 40 candidates of Bb. Pilipinas 2019 pageant. Catch the coronation night on June 9 at Araneta Coliseum. Six titles are up for grabs: Miss Universe Philippines, Bb. Pilipinas International, Bb. Pilipinas Supranational, Bb. Pilipinas Intercontinental, Bb. Pilipinas Globe, and Bb. Pilipinas Grand Internaional. Who will make it to the official roster of Bb. Pilipinas 2019? Miss Universe 2018 Catriona Gray receives gift from Puteri Indonesia Org. Watch as some of the Bb. Pilipinas 2019 applicants teased pageant fans with their pasarela during the submission of application for Bb. Pilipinas 2019. Final screening will be held on March 18 at New Frontier Theater. Watch the full interview of Miss Universe 2018 Catriona Gray in Liputan6, a flagship television news program that broadcasts on the Indonesian TV station SCTV. Watch as as Grammy-award winner Ne-Yo performs on stage during rehearsals for the MISS UNIVERSE® Competition at IMPACT Arena in Bangkok, Thailand. Video by IMG Universe LLC. The country’s Teen Queen, Kathryn Bernardo, bags another endorsement as she formally signed a contract deal with Maxi Mango last February 5 at Crowne Plaza Manila Galleria. Established on December 2017, Maxi Mango is one of the fastest soft served ice cream dessert product in the country. Present at the contract signing are Miki Arceo-Velasquez and her husband Ivan Velasquez. Miki was one of the PBB Teen housemates during the first season, joining Kim Chiu and Gerald Anderson. In an interview, Miki Velasquez is very grateful to Kathryn for accepting the endorsement deal. “Kathryn is very sweet as a person. We knew already that before. Because when we were OFW pa ni Ivan, we look forward to go home because nanonood kami ng Mara Clara. She’s really sweet.” said Miki Velasquez. Was it hard to convince Kathryn to endorse Maxi Mango? “No. Not at all. As in mabilis lang lahat. Actually (ang) buong process, first nag meeting kami with them and then nag contract signing talaga. After nun nag pictorial na agad kami and itong TVC. Ang bilis lahat kasi ang bilis nilang kausap. Hindi ako nag dalawang isip kasi ang sarap ng product.” Kathryn said to the press. Aside from the original, Kathryn’s favorite flavor of Maxi Mango are ube and cheese. The product’s tagline is “Maxi Mango My True Love”. Is Daniel Padilla jealous with it? “Support siya dito. Naiintindihan niya yan. Ibang usapan ‘to. Alam niya ang true love ko pagkain. My God napapasaya niya ako through food. Ang hilig hilig ko sa sweets. So pareho sila na love ko. Ibang usapan naman ‘to. Ever since supportive si DJ. Excited nga akong ipa try sa kanya ‘to." Kinumpirma ni Retired PNP Chief na binigyan niya ng perfect score si Karen Gallman sa katatapus lang na Miss Intercontinental pageant na ginanap sa MOA Arena nung Sabado, January 26. Nanalo ang pambato ng Pilipinas na si Karen Gallman sa nasabing patimpalak ng kagandahan at isa sa mga hurado ang PNP Chief. “Lahat ng score na binigay ko sa kanya ay 10 all. Sabi ko mananalo talaga ito. 10 all walang bawas. Lahat ng pasada 10 all na agad." Itinanggi naman niya ang intrigang naging bias siya. Nakausap ng press si General Bato dela Rosa sa media conference para sa pelikulang Bato: The Gen. Ronald Dela Rosa Story, na ginanap sa Valencia Events Place Quezon City, January 28. Dumalo si Robin Padilla, Beauty Gonzales at Gen. Ronaldo "Bato" dela Rosa sa media conference sa kanilang pelikulang "Bato". Dumalo rin si Robin Padilla, ang bida ng pelikula na gumanap bilang Bato at Beauty Gonzales, asawa ng Retired PNP Chief na si Nancy Gonzalez. Produced by ALV Films and Benchingko Films, and distributed by Regal Films Inc., mapapanood na ito simula ngayong araw sa lahat ng sinehan.